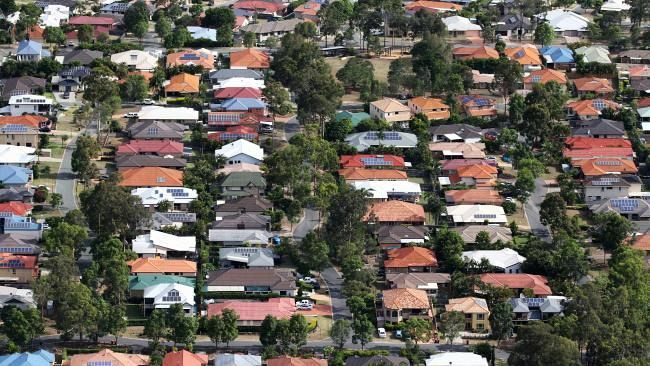 MARKET uncertainty is spooking would-be home buyers in Brisbane, with a new survey finding most people would put off purchasing a property for at least another two years. Place Advisory’s annual Investor Sentiment Survey for 2017 has found more than half (51 per cent) of respondents believe the Brisbane property market has suffered in the past 12 months compared to only 42 per cent the year before. Place Advisory director Lachlan Walker said there had been a significant change in sentiment considering 71 per cent of people believed the market was improving four years ago. “The biggest hurdle to buying property at the moment is market uncertainty,” Mr Walker said. “If we had some jobs growth and positivity in the economic market, we’d see the property market performing better. The survey found 27 per cent of people would put off buying a home for two years, while 17 per cent would wait five years. Mr Walker said it was also a reflection of the recent oversupply concerns and the slowdown in the inner Brisbane apartment market. “A couple of years ago there was a lot of focus on apartment living and people have pulled away from that a little bit,” he said. The survey of 500 potential property buyers found the majority of people looking to buy in Brisbane wanted a three bedroom home in the city’s middle ring, close to public transport and amenities. The survey found proximity to public transport and retail and entertainment were the biggest factors, followed by school zones, parks and walkways and employment opportunities. Almost 40 per cent of people would prefer to buy in Brisbane’s middle ring suburbs and nearly half of respondents wanted three or more bedrooms. Mr Walker said the latest survey showed people were more willing to make sacrifices to get into the property market than in previous years by finding opportunities to buy in suburbs that were located further from the CBD. “It’s probably reflective of the wider sentiment out there that people are willing to move a little bit further out if it’s more affordable and as long as it has access to amenities,” he said. The survey also found almost one third of property investors expected to achieve unrealistic capital growth. While the majority of investors expect to achieve between 4 and 6 per cent capital growth, 28 per cent expect to achieve above 8 per cent growth on their investment. CoreLogic head of research Cameron Kusher agrees jobs growth is holding Brisbane’s housing market back. “I think that’s still the big drag on Brisbane,” Mr Kusher said. But the news isn’t all doom and gloom. Mr Walker was keen to point out there were still active buyers in the Brisbane housing market. “There’s definitely money in the market,” he said.